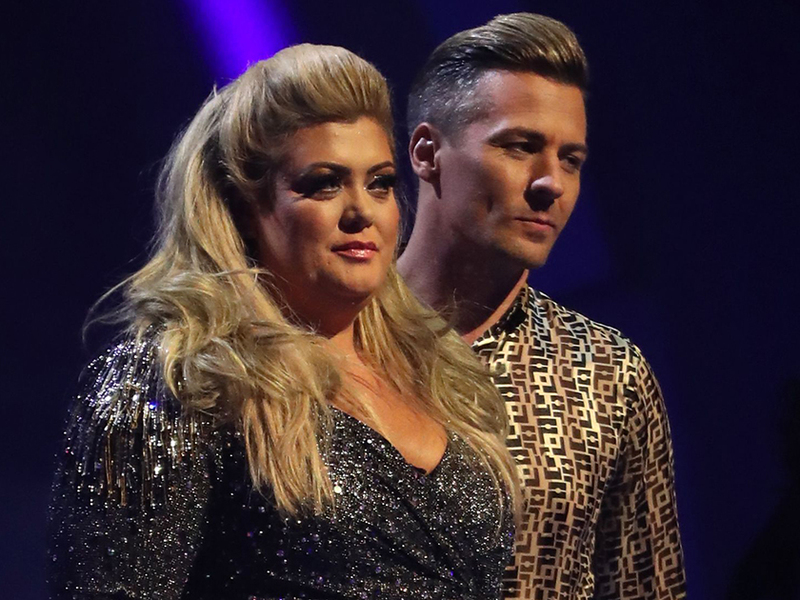 Yup, the TOWIE lady has definitely earnt her divaship (her words, not ours) through years of showbiz fabulousness and a pretty tricky stint on Dancing on Ice. After taking to the National Television Awards yesterday in a floor-length black gown with intricate tulle skirt, the Essex lady decided to take a little trip down memory lane. Throwing it back to where it all began, 37-year-old GC revealed she was feeling grateful for her hugely successful showbiz career – sharing a range of current day snaps and vintage throwback shots. ‘Thank you to everyone but most importantly my best friend since I was a baby never wanted to be in the spotlight with me but I love you for that @vicky_fit_foreveryoung ❤️❤️ ,’ she shared. In the first vintage snap, a fresh faced Gemma parties with her friends having wrapped a pink feather boa around her neck for the occasion. A far cry from her star-studded surroundings of the NTAs, baby GC looked very content with her casual living room ‘do. In the next shot, Gemma and her best friend cuddle up whilst sharing a giggle. Looking very sun-kissed for the disposable snap, it’s fair to say the GC always loved a classic Essex tan. Keeping up with the party theme, Gemma and her ‘pal enjoy a glass of something bubbly in the following throwback shot. Looking laidback in a crisp white shirt, Gem pulled her trademark blonde tresses loose around her shoulder. As expected, fans have been very quick to share kind messages with the GC. ‘You’ve come a long way Gemma 😍,’ a third posted.